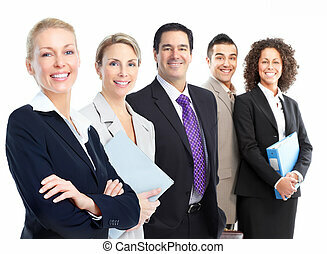 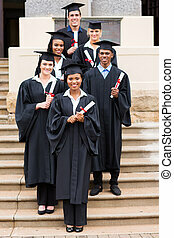 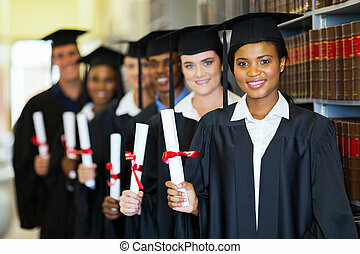 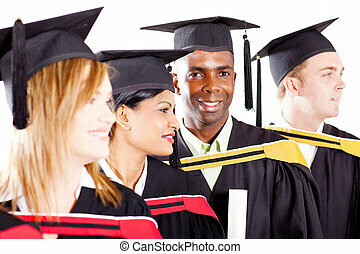 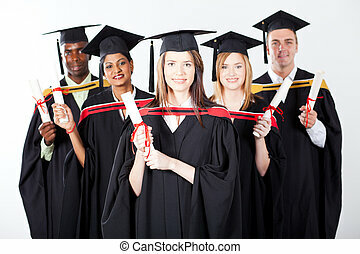 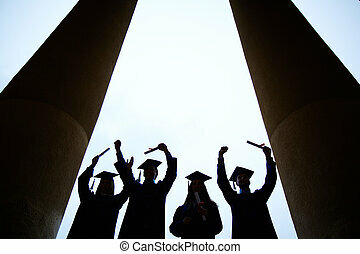 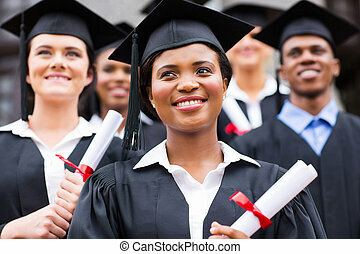 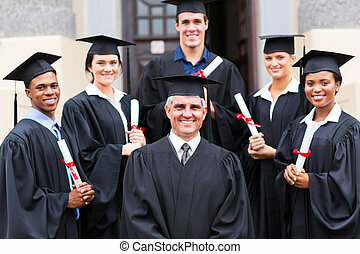 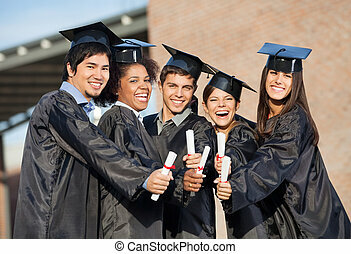 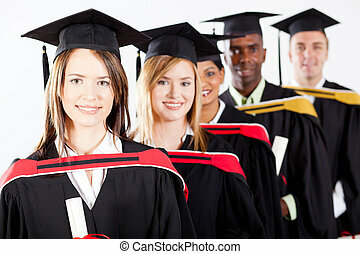 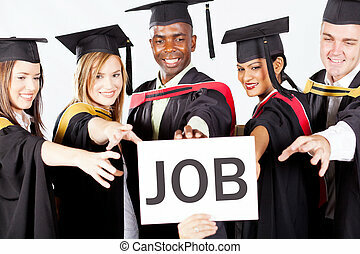 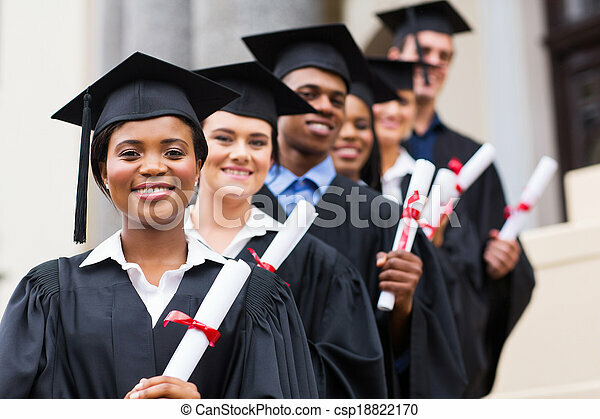 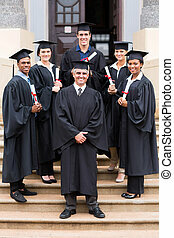 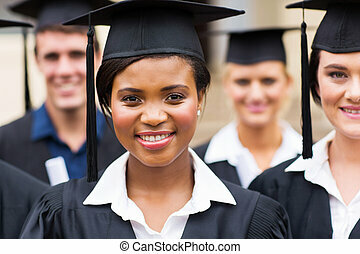 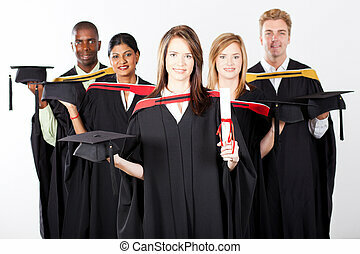 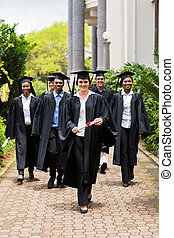 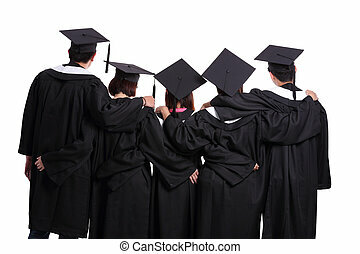 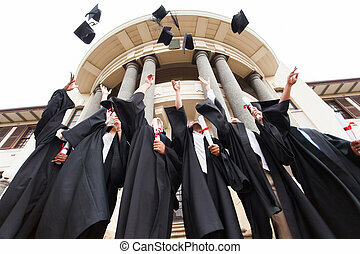 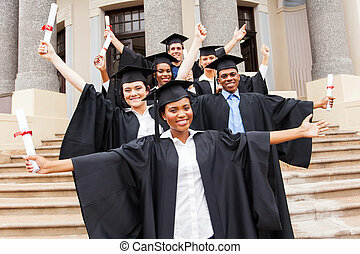 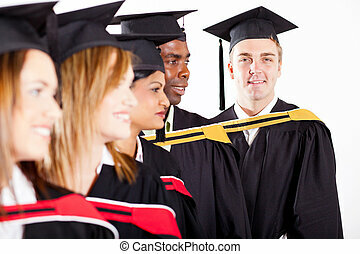 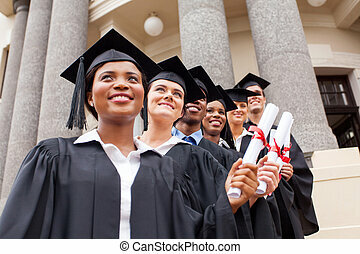 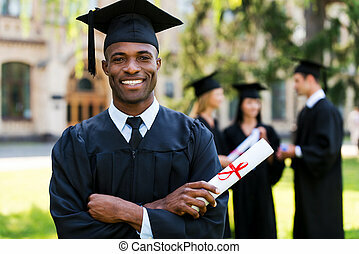 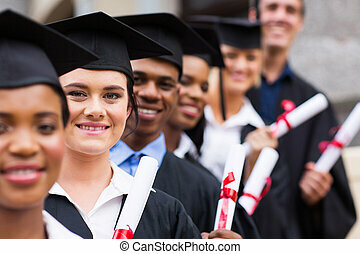 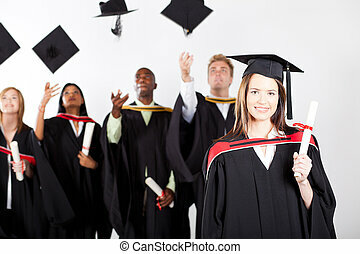 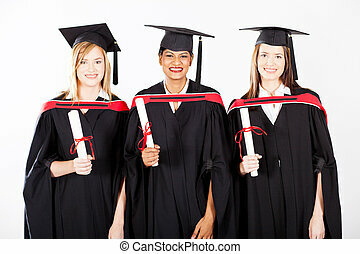 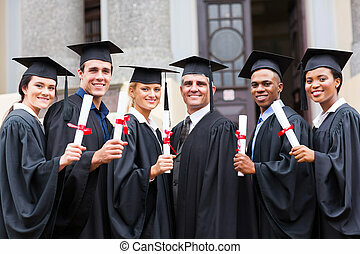 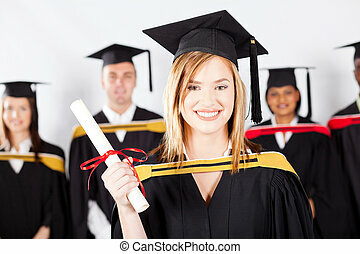 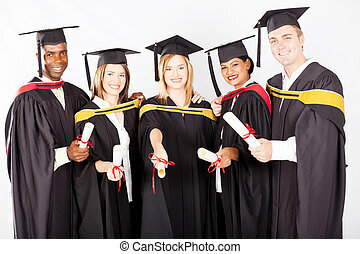 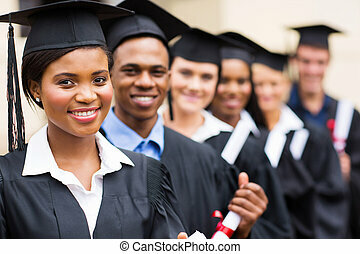 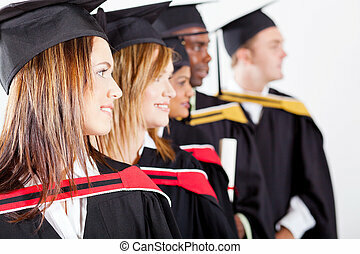 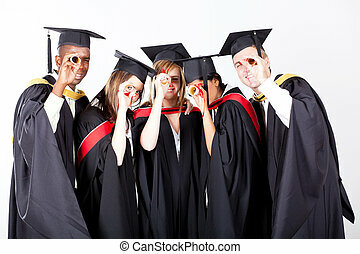 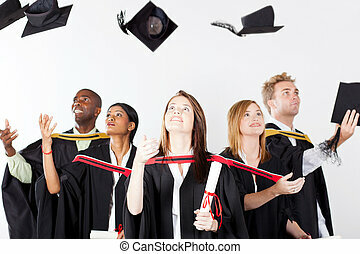 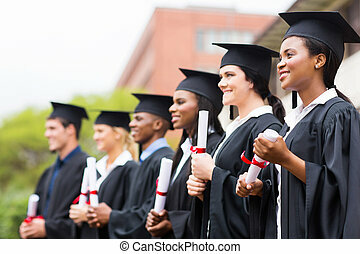 Happy group of university graduates at graduation ceremony. 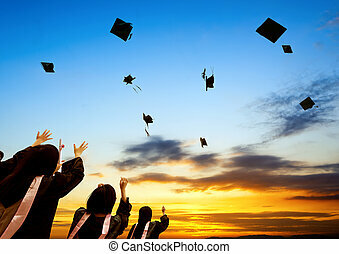 Chinese graduates and sunset sky. 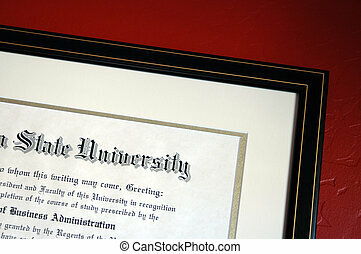 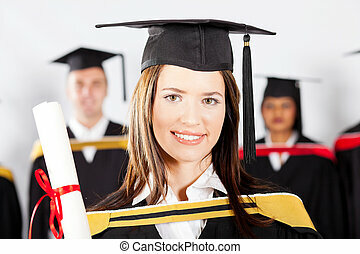 University degree framed and hanging on textured red wall. 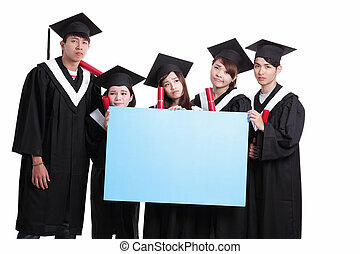 Button with graduation cap icon on a modern computer keyboard. 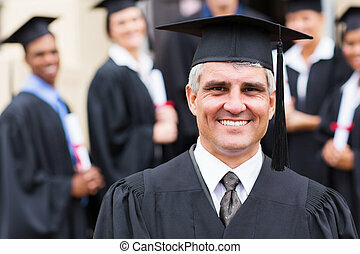 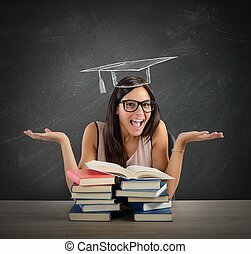 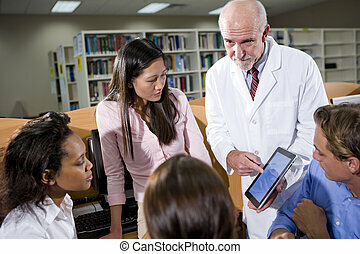 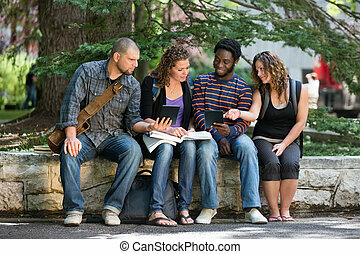 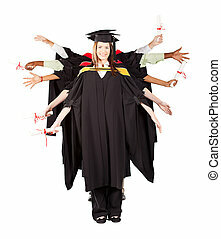 Online education concept.